This is not your everyday dish, not only for the labour that you have to put in it but also for the amount of spies and oil that brings out the taste and flavour of this simple vegetable. At home we generally eat very light vegetable based dishes. Deep fries are a strict no no for most of the time but are kept for parties and special occasions. But when I decide to cook such dish I prefer to plan the meal with only one or two dish. Enchor or raw jackfruit is something that I do not like if cooked in a soupy gravy. This is not referred to as the vegetarian meat for no reason and cooking this in a onion-garlic gravy really brings out the flavour. 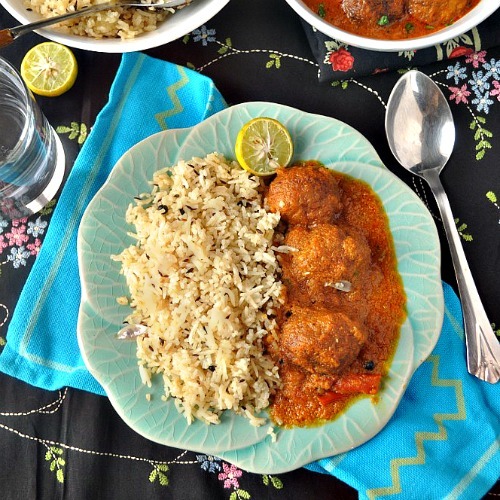 So when hubby demanded some kofta curry I knew I will have to plan it along with some flavoured rice to keep the meal simple. 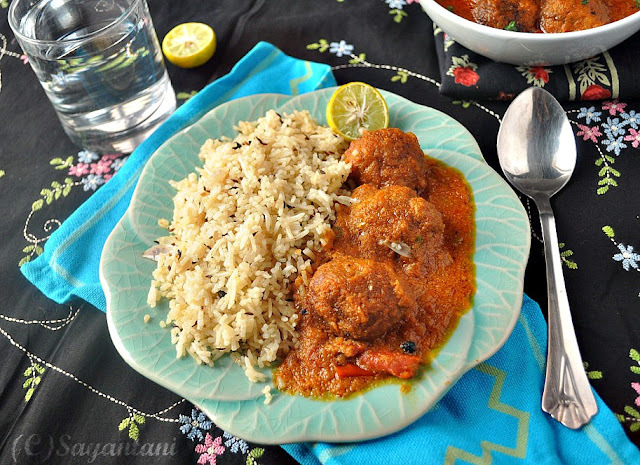 So it was jeera rice and kofta curry for the weekend lunch that we immensely enjoyed. Its another matter that the next day I made him survive only on soup (he actually do not mind having homemade soup though.). This dish is a little bit lengthy so best if you do the prep work a day before. I generally make a lot of koftas, fry them and frezze in a ziplock bag. The gravy could be different but the koftas taste great when dunked in some rich creamy gravy and I prefer mine in a tomato-yogurt based rich gravy. Soak the chana dal for 30-60 minutes. Then boil it with the potato and tender jackfruit pieces till its cooked through and mashable. Do not over cook the jackfruit as it will be mushy and tasteless. Drain the water and mash everything together. Do it still the vegetables are still warm. Now heat 1 tbsp of oil and fry the chopped cashew nuts till golden. Take out and keep aside. In the same oil, add the chopped green chilies. Once they start to splutter add and fry the chopped onions till golden. Add the ginger garlic paste and fry till the raw smell is gone and oil separates, mix salt, chili powder and mashed vegetables. Keep on cooking on low flame till all the extra water dries up. Approx. 8-10 minutes. Mix in the chopped nuts. Switch of the flame and let it cool. Then take tablespoon of the vegetable mash and roll through your palms to make tight smooth balls. Repeat till the mash is finished. Heat oil for deep frying and fry the koftas 4-5 at a time till golden brown on all sides. Take out and place on absorbing paper. For the gravy heat the oil and temper it with bay leaf and lightly crushed clove, cinnamon and cardamom. When the start to splutter add the onion paste. Fry on low till oil start to appear on the sides. Now add the ginger-garlic paste. Fry again for another couple of minutes and then add the coriander powder mixed in 2 tbsp of water. Fry for a minute and then add the tomato puree, salt and all the chili powders. Mix. Beat the curd in your mixer jar till smooth and add to the spice mix. While adding the curd make sure the flame is kept at the lowest. Gently mix the beaten curd in the spice and let it cook on low till the raw smell is gone. Now pour 11/2 cup warm water. Mix everything together and let it simmer on low flame for 2-3 minutes. Just before serving add the cream and koftas in it and gently boil it for 4-5 minutes. The koftas would soak a lot of water so please adjust the amount of water depending on the quantity of gravy you want. Finish off with garam masala powder and serve with pulao, puri or paratha. Adjusting the gravy could be a little tricky. If needed add more water. You can also substitute cream with coconut cream. If needed add a pinch of sugar to balance the taste. You can also add 1 tbsp of soaked kasuri methi (dried fenugreek leaves) for extra flavour. 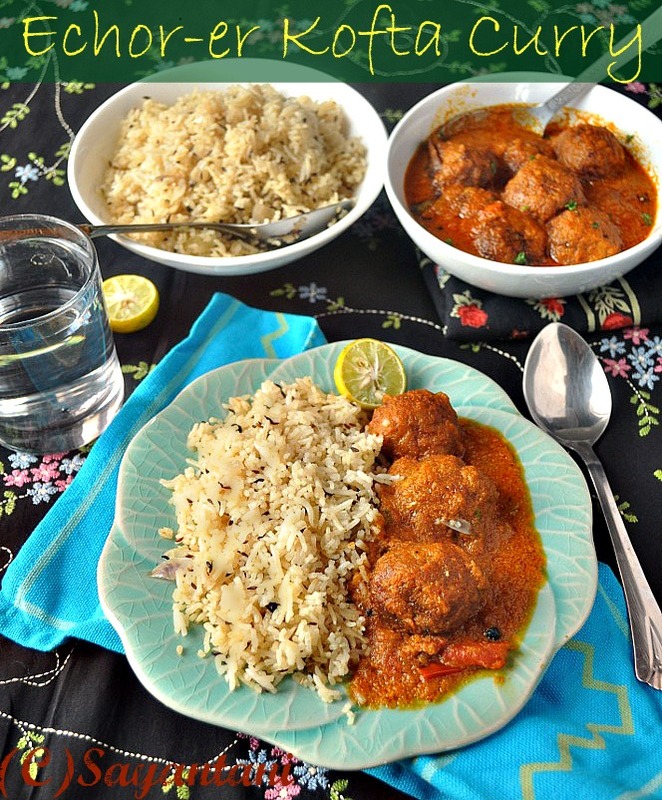 kofta curry looks super tempting..very eye catching pictures..loved it!! Wonderful pictures and no marks for saying that the recipe is winner. Interestingly I posted a kathal ka dopyaza just now and a kathal ka kofta is on the cards too. The UP style kathal ka kofta is not as rich as this one, but you can always make the gravies as rich as you wish. this time you beat me dear.. i was about to post the same.. anyway, mine recipe is little different..
oh man - this must be so good... i have had jackfruit cutlets, but kofta curry must be so much better! @Ushnishda, mone hay peye jaben. kabe aschen? 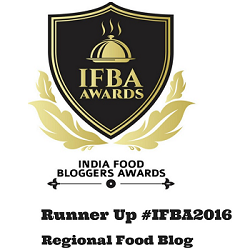 @Sangeeta, will wait for your recipe. i have a few more koftas in the freeze. would love to cook in a light gravy. @Sarmistha, thats a neat idea. will do this next time. OMG... looks so tempting and amazing.. really awesome preparation dear. .Yummy !! 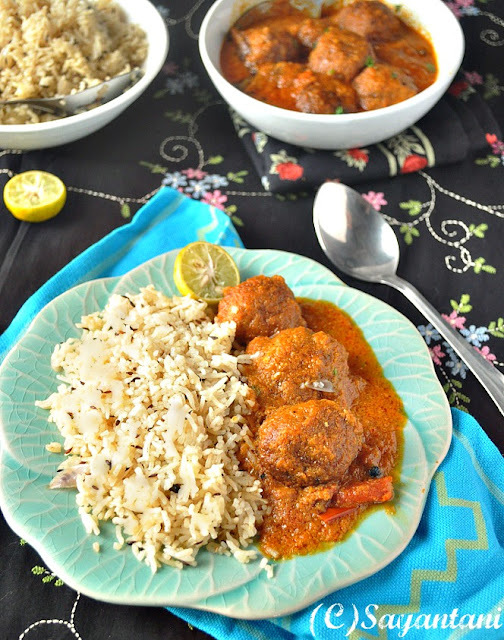 Yummy kofta curry,love the addition of jackfruit. It looks so yummy. I was looking for some new kind of jack fruit dish. This one is super idea. Sure going to add it in this weekend's menu. Thanks a bunch for sharing. wow!meal fit for a king!!!!!! 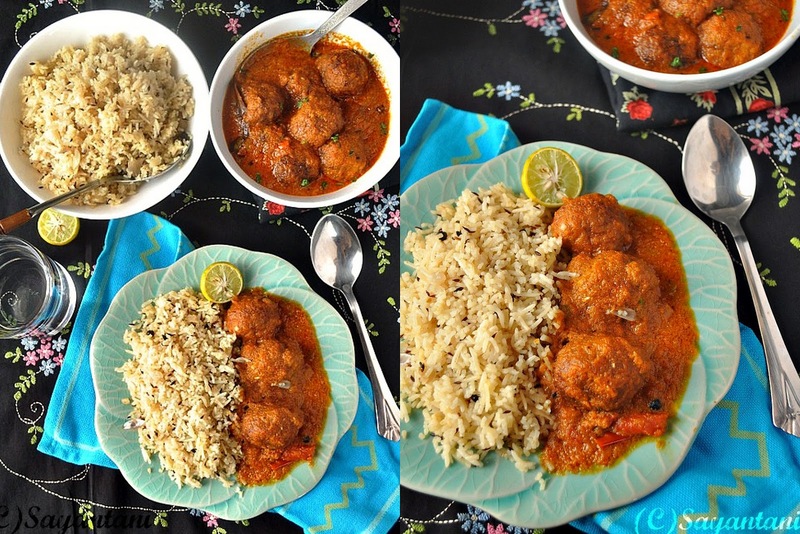 !lovely kofta curry......gorgeous snaps. 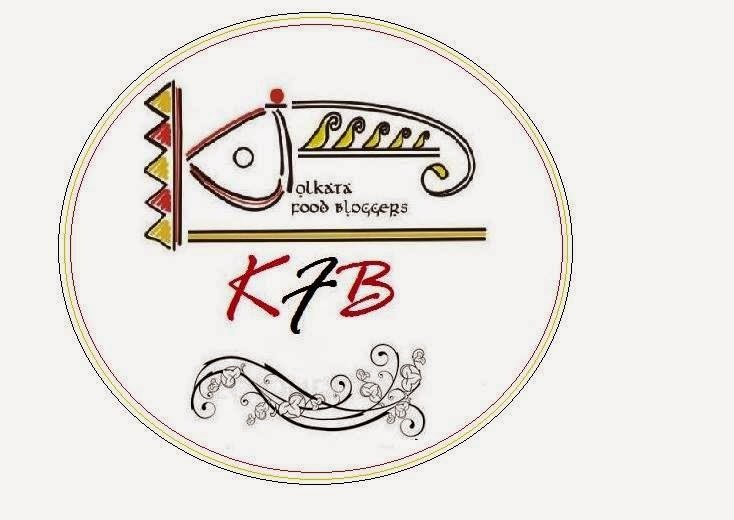 Ebar Kolkata-e gele tomar bari to jetei hochhe :)This enchor is just out of the world...amar dida eta bhishon bhalo banaten..
That's a awesome and droolworthy curry..never had jackfruti..hey dear Monsoon of India event is available 4 you..just send me an email will send you all the details..meanwhile I link your blog on that page..
A unique dish with jack fruit. And looks so good. 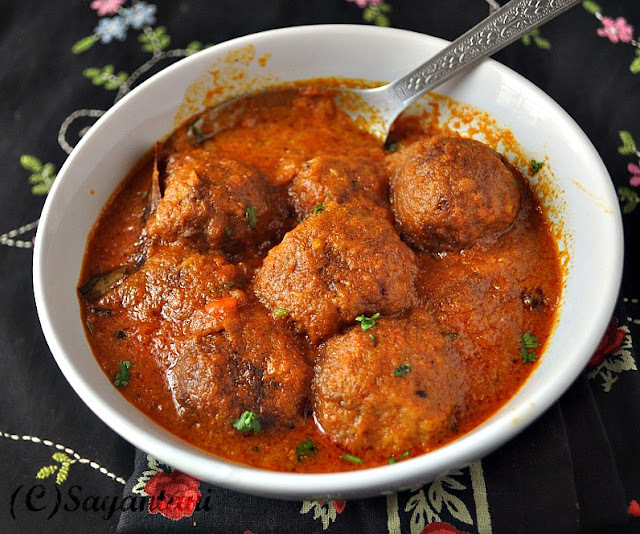 Wat a creative and unique curry, irresistible koftas Sayantani..You are pulling me to cook raw jackfruits dear. Very innovative recipe, looks so rich & tasty! 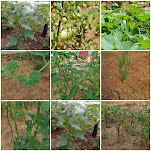 Lovely clicks! Though I'm on a low oil diet these days, I would not mind savoring this one. I love jackfruit koftas. The moment I saw the pict of the curry I was drooling. See hard work always pays of and I bet this curry is one heck of it. But worth the effort. Tottally new to me.. looks delicious.. Very unique kofta. I need to check in the asian shops if I get jackfruit..I had seen the ripe ones. Your pictures have made me so hungry. And the kofta looks out of the world. I wish I could gobble one up right away! Wow, this kofta curry looks so yummy! I love the red rich gravy. Looks spicy and perfect!